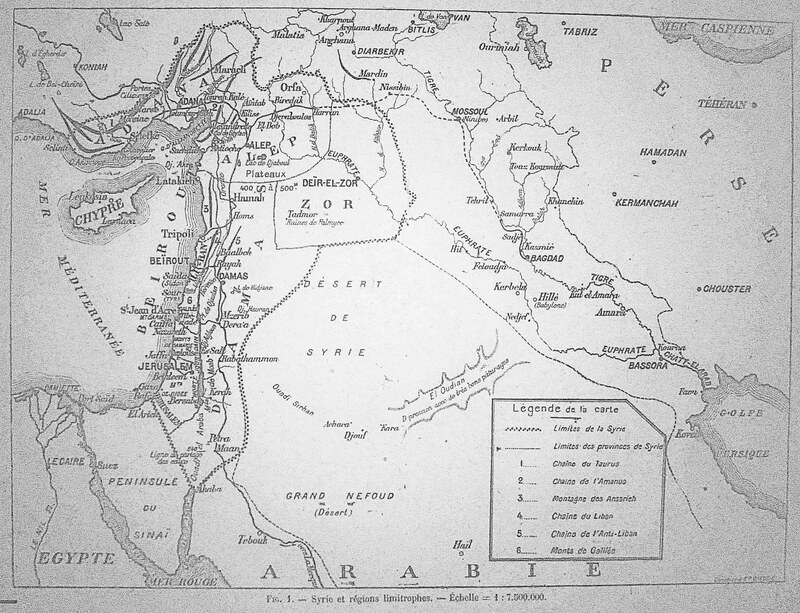 The above map from May 1920 shows the geographical region of Syria as defined by French administration at the very beginning of the occupation of Syria, which lasted from approximately 1918 to 1946. It actually includes two separate definitions of Syria, a core region stretching from Adana, Marash, and Urfa in the north to the Sinai in the south, therefore including Lebanon and what would become the British Mandates of Palestine and Transjordan. The second geographic distinction of the "provinces of Syria" includes the Syrian desert. This imagining of Greater Syria by French administrators would eventually be scaled back as both Jordan and Palestine became British territories, the occupation of the Adana region ended in 1921, and later the area around Iskenderun and Antakya (modern-day Hatay) was ceded to Turkey in 1939.